Old stuff is funny. Old houses are no exception. I’ve had two old houses in my life. A two story built in the early 1900s that my wife and I worked our cans off on and raised our kids in for 11 years. When we moved to Kansas in 2005 we bought a 1952 house. It seemed pretty new compared to the two story, but really, 1952 is pretty old too, especially if you consider some of the construction features in it. I just love old houses. I refer to people who have old houses at “house people”. They have to be. It’s hard to go to the lumber yard and buy trim for these things, impossible sometimes. Yet these “house people” are committed to these old things. Old houses come with things that are hard to deal with. You can’t even drive a nail to hang a picture without blistering the plaster. The locksets are nothing like todays locksets, they’re full of springs and levers and are installed in a mortised rectangular shaped hole. The wiring is basically dangerous if it hasn’t been updated and the plumbing, if original, is a ticking time bomb waiting to fail. I’ve seen boiler expansion tanks on the top floor of old houses as big as a 40 gallon water heater. How many people have any idea what that means?! Yet us house people embrace these things and keep them alive. If you gave me a ’57 Chevy I’d have it crushed for scrap. I have no interest in an old car with a carburetor and made mostly of steel. I realize that’s practically unpatriotic to some people but I prefer cars that start and run without a second thought. I want air bags and heated seats. I relish crash protection and premium factory sound systems that play cds and iPods so loud and clear my ears bleed. I like turbo chargers and a gas pedal that’s connected to a circuit board instead of a throttle cable. This dichotomy serves me and my customers well. For instance, I admire the look of rough hardwood floors. When I visit Jackson Hole Wyoming or some other favorite place out west I admire the big lodges and hotels that are a hundred years old and have had little more that varnish applied to the floors. You can see where thousands of travelers have walked up a flight of wooden stairs to the point they are curved. It’s pretty obvious gunfights, spurs, moose and cowboys have had some time on these floors. Then some guy comes along every spring and puts the 90th coat of varnish on the floor, right over the scuffs and blemishes. When a customer asks me about refinishing floors in an antique house I just shrug. I stand there imagining all the families, pets and parties that have beat that floor to smithereens. I like the old floors. But show me an old boiler in the basement and I can’t wait to see that thing torn out, and, crushed for scrap. 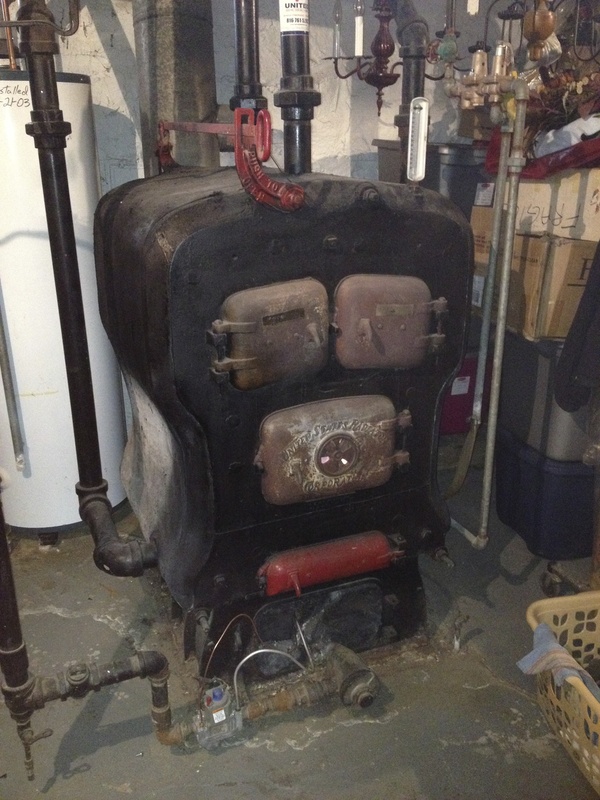 I want to see a modern boiler, 92.2% efficient with an expansion tank the size of a thermos. I want to see the gas savings and the super efficient heating take place. I can’t wait to hear the soothing click of an electronic ignition lighting a fraction of the fuel the old boiler used. Then to top it off a tiny pump moving the hot water immediately to the upper part of the house to warm up the radiators. Same with wiring, tear it out! Install a fresh breaker box and new wiring with safe, grounded outlets and switches. And when the cast iron plumbing full of lead junctions starts to leak, that’s right, tear it out and crush it for scrap. It’s that cool blend of old and new. It’s the joy and passion of living in a building with character and history, equipped to move into the future, saving energy and providing comfort. When these old house are full of fresh technology, insulation and modern utilities they are easier to live in, they conserve natural resources and are very comfortable to be in. Call it what you will, it’s what us “house people” do.